Loop quantum gravity is an attempt to develop a quantum theory of gravity based directly on Einstein´s geometrical formulation. 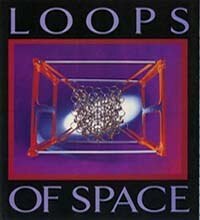 I have made a list of books and articles needed to learn Loop Quantum Gravity . Actually i made this list by visiting forums, discussing people and searching at google and at last checking those. I hope this list will help you a lot to learn Loop Quantum Gravity . 1. ” General Relativity “, by Robert M. Wald (The Text book of General Relativity). 1. ” Geometrical Methods of Mathematical Physics “, by B. Schutz ( Very easy and accessible, good for beginners but lack of exercises ). 2. ” Modern Differential Geometry for Physicists “, Chris Isham . 3. ” Geometry, Topology and Physics “,Mikio Nakahara ( Recommended ). 4. ” A Course in Modern Mathematical Physics : Groups, Hilbert Space and Differential Geometry “, Peter Szekeres . 7.” On Singularity Resolution in Quantum Gravity “, by V. Husain, O. Winkler.